In toxic relationships, chances are your friends and family will recognize it before you do. They may even try to help you see it. This behavior is defined as one where one of the parties consistently says or does things that are damaging to the other. Over time, this behavior can result in the person gradually losing his or her sense of self. Because of the nature of romantic relationships, it’s sometimes difficult to realize you are in a toxic relationship until it’s too late. If you’re making excuses for your partner or, worse, keeping details of your relationship a secret from those closest from you, ask yourself why you’re doing this. A healthy relationship is one that honors who we are, not one that diminishes us. If the person in your relationship is making you feel unworthy of love or generally bad about yourself, it’s time to ask yourself if this is the relationship for you. Does your partner belittle you or talk down to you? While disagreements are natural, it all boils down to how you feel when you’re around the other person. In a healthy relationship, both parties recognize each others differences and respect them. Another sign of abuse is being cut off from family and friends. This is a control tactic. Others can influence you, help build your self-confidence, undermining your partner’s efforts to diminish your self-esteem. While bad relationships happen to emotionally healthy people, the key is to know when to walk away A confident person will leave at the first signs of negative behavior. Often, abusers attract those with co-dependent tendencies Co-dependents exhibit behavior that may be seen as caretaking or nurturing, but a co-dependent does not establish firm boundaries. By allowing a toxic relationship to continue, you are enabling the other person’s negative behavior and, in the process, allowing yourself to be unjustly treated. The first step is to rely on the network of friends and family members and confide in them. These people can give you the support you need to find yourself again. 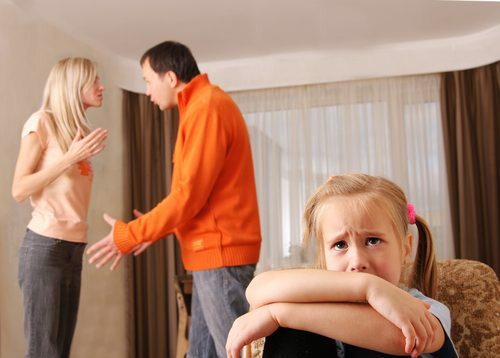 Most importantly, if you are in a physically abusive relationship, it is urgent that you get yourself and your children, if applicable, away from the situation as soon as possible. And if you’ve been isolated, reach out. If you feel trapped The National Domestic Violence Hotline can help. Call 1-800-799-SAFE. Don’t be afraid. Reach out and get help.